store your fire wood !!! DOES YOUR BUILT IN BRAAI / BARBEQUE LOOK LIKE THIS ? Well here is a possible reason... the manufacturer has mixed mild steel and stainless steel in one product. Mild steel will corrode (and rust) faster if placed together with stainless steel. We have done several replacements of components where mild steel bolts had rusted away in less that 6 months ...and they were all bolted into stainless steel. The mild steel is used as a sacrificial anode when in this situation. We have now decided that we will ( on request) make up stainless steel built in braai / fire structures, but only in a fully stainless steel form to eliminate this problem. What you will need to do if you want to install a new fireplace is provide us with a width, depth and height measurement of your surrounding structure. We will then provide you with a quotation to manufacture your unit. 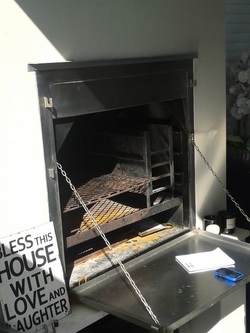 We have made a combination unit that is both a braai and also a fire place for a client in Knysna who we were told "never cooks". 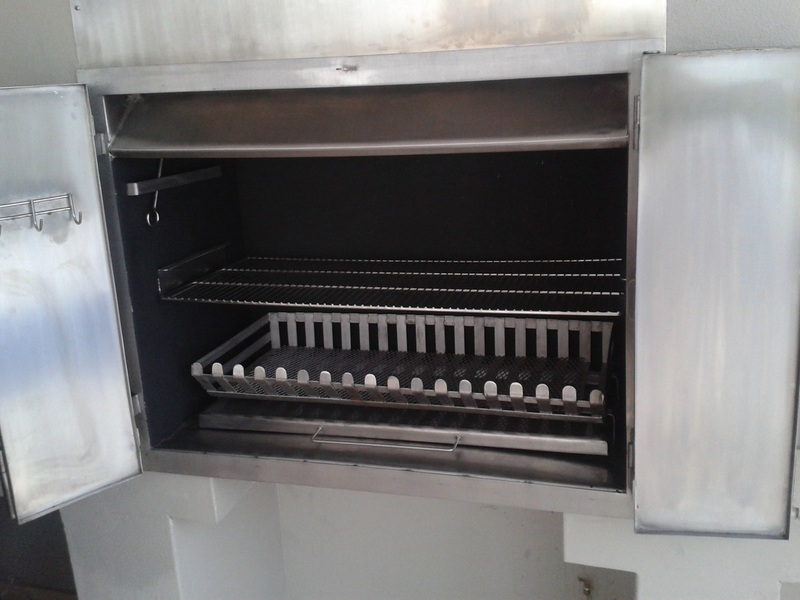 So we built this unit for when there are other willing chefs around and it also becomes a sit in front of and enjoy the fire unit with a fire grate fitted in place of the standard fire tray. We did however fit a fire grid to allow the normal braai function to be carried out when required.